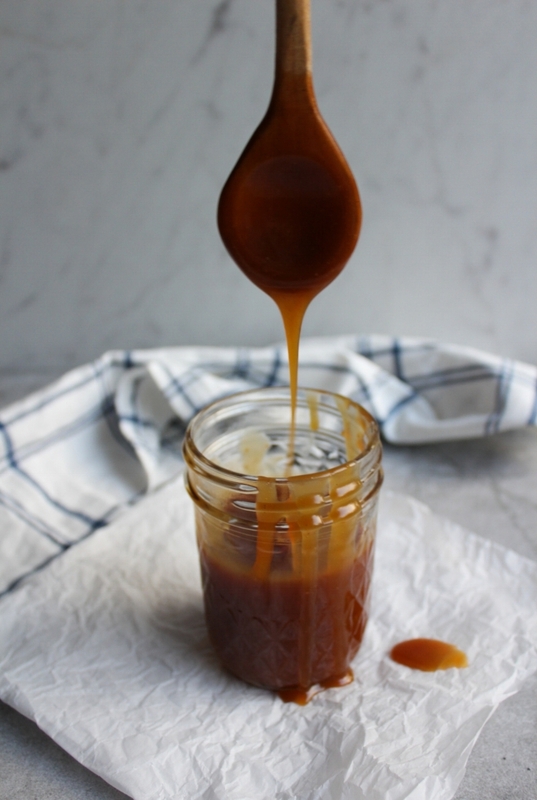 Caramel Sauce + Life Hacks: Drawing Parallels — South Fork Cake Co.
What you're about to read is my attempt to convey that there is a difference between a "hack" (read: a ridiculous way about things that usually takes more time and energy than the original version of the task at hand) and a "shortcut". The other day I saw a 'life hack' for, get this, slices of peanut butter. Please bear with me while I heavily sigh my way through this explanation. The woman in the video, who... by the way, was officially titled as a "sandwich master", opened by saying that ordinary peanut butter was inconvenient. Her "sandwich master" reasoning? It's too time consuming and it results in torn bread. Now, I don't know about you, but I've never peanut-buttered a piece of bread so aggressively that I shredded it. But, please, feel free to let me know if I'm the outlier in this situation. Aaaanyway, Sandy Masters explains that you can hack the shredded bread situation by spreading PB between two layers of parchment paper with a rolling pin, then putting it in your freezer overnight to harden. Mkay, coupla things. First, who has enough room in their freezer for a peanut butter flatlay and second, OVERNIGHT?! Come on! After your PB has hardened, you can use kitchen shears to cut it into bread-sized rectangles to then keep in your freezer for easy sandwich application when needed. The video concludes with her laying some frozen peanut butter slices on two pieces of bread, drizzling them with honey, and sprinkling with chocolate sprinkles. After all that, Sandy M. proceeds to give these open-faced, honey-drizzled, two-day peanut butter breads to small, soon to be sticky-handed children. UGH. So, there you have it. How convenient. "I made this recipe, it was great. I cut out a few steps though and just spread the peanut butter DIRECTLY ON THE BREAD. Life changing!" "Love this...since having kids I had to quit my job due to the amount of time I needed to spread peanut butter each day...maybe now I can go back to work part-time!" and my personal favorite "What in sweet hell did I just watch?!" The point I'm trying to make with all of this is that it is important to remember: shortcuts are great, but don't lose sight of logic. The moment you find yourself putting peanut butter in the fridge overnight, take a step back and reevaluate. 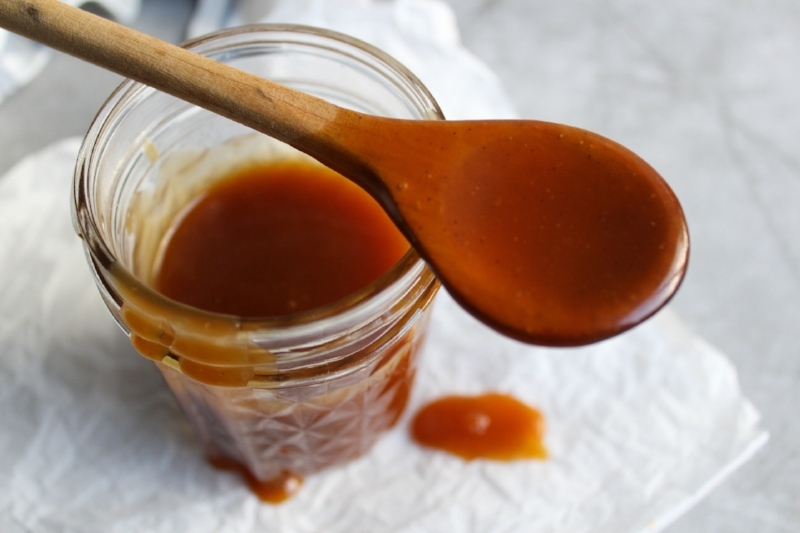 This caramel recipe is nothing like peanut butter slices. It's easy, doesn't take two days, and isn't trying to solve a problem that doesn't exist. Nailed it. But seriously, this recipe is one of my favorites for many reasons. The first of which is that is from scratch but not fussy, which is win-win in my book. It's really thick at room temperature so you can use it to flavor buttercream, drip it all over cakes, drizzle it on ice cream, eat it by the spoonful, anything! SO GOOD. I say in the recipe that the salt is optional but I never leave it out, because I'm not a monster.